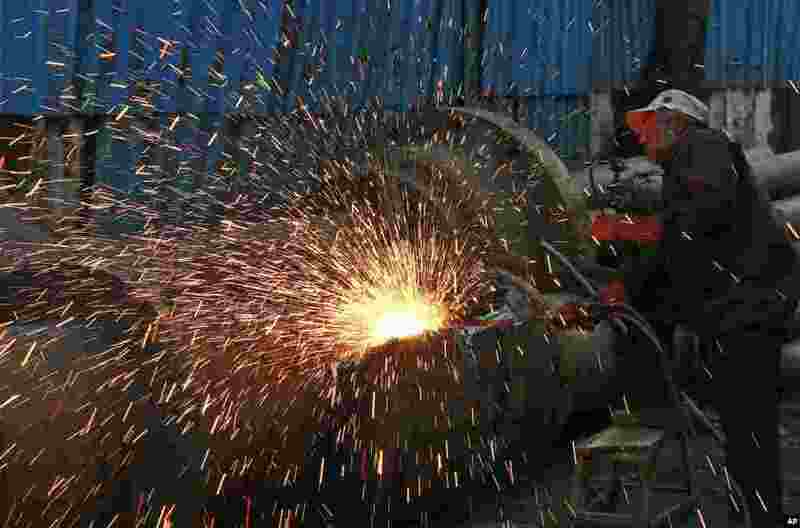 ١ An Indian worker works at an iron and steel scrap workshop at an industrial area in Mumbai. 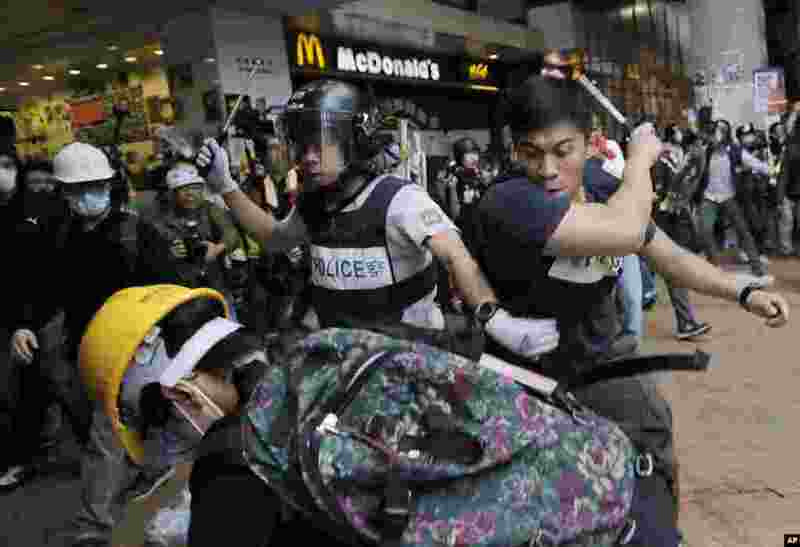 ٢ Police officers beat up protesters as they try to disperse them outside government headquarters in Hong Kong. Pro-democracy protesters clashed with police as they tried to surround government headquarters, stepping up their movement for genuine democratic reforms. 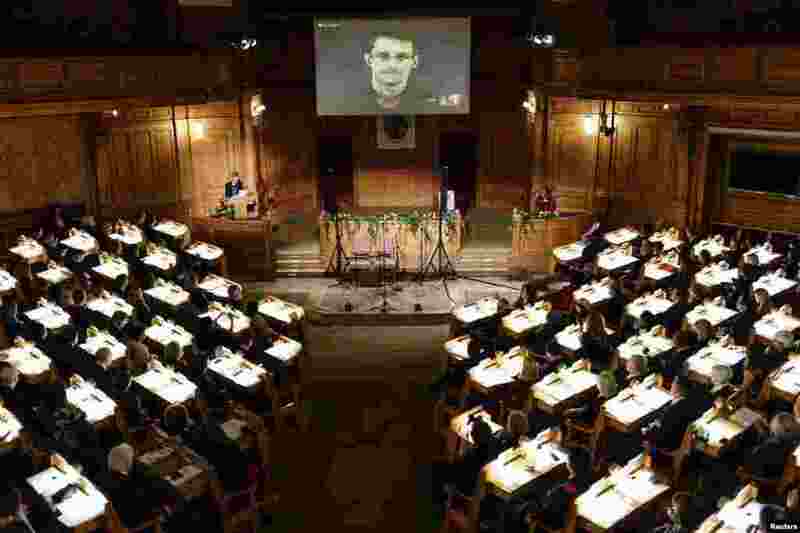 ٣ Swedish Member of Parliament Barbro Westerholm (L) speaks to former U.S. NSA contractor Edward Snowden, shown on a livestream from Moscow, during the Right Livelihood Award ceremony at the second chamber hall at the Swedish Parliament in Stockholm. Snowden was awarded the Right Livelihood Honorary Award for "his courage and skill in revealing the unprecedented extent of state surveillance violating basic democratic processes and constitutional rights." 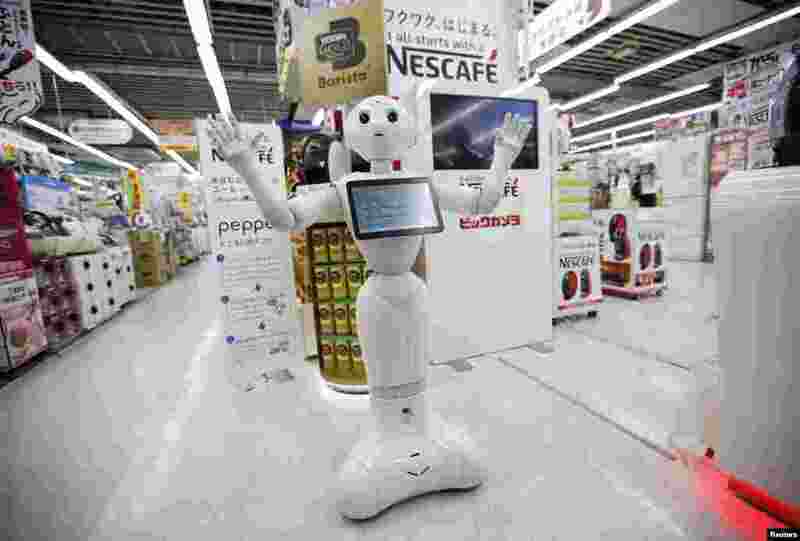 ٤ SoftBank Corp's human-like robot named "Pepper" introduces Nestle's coffee machines at an electronic shop in Tokyo, Japan.